A Maquiladora certification is granted for companies who intend to import raw materials, parts and components under an inbound scheme. The goods beneficiated must be re-exported outside Mexico within 18 months from import. The inbound scheme allows the introduction of goods to Mexico free of import duties and value added tax (VAT). The Maquiladora certification gives the advantage to import machinery, equipment and tools exempting the VAT. The inbound import term of these goods is indefinite on condition that the company maintains the Maquiladora certification, and complies with the rules and regulations of the program. The Maquiladora program is formally named IMMEX, which stands for Industria Manufacturera, Maquildora y de Servicios de Exportación. These types of companies are also known as Maquila Duty Free Program. 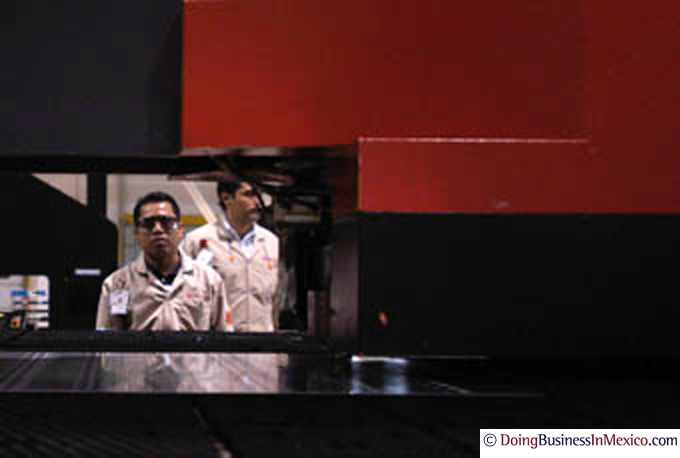 The Maquiladora certification is approved by the regional offices of the Economy Ministry. The proceeding regularly takes three weeks for authorization. It is strongly recommended to get the support from professionals during this process. This is not just because the importance on the accuracy of the documents submitted, but for the proper understanding of the benefits, implications and obligations related with running a Maquiladora company. -It must be a company incorporated in Mexico. -The candidate must compromise to report annual exports sales of more than US$500,000 Dollars or that the company exports represent at least 10% of the company total sales. -Submit the legal Maquiladora forms along with the paperwork that specify the company production process, capacity, materials tariff code and the description of the finished goods intended to process in Mexico. -To have legal ownership of the facilities or to have legal possession of the facilities for at least 12 months; this can be proven by a leasing contract. -Prove purchase orders from clients or a service/manufacturing contract with a foreigner counterpart. Manufacturing Maquiladora: A company that manufactures or assembles goods that will be directly exported or transferred to another Maquiladora company. Repairing Maquiladora: A company that provides the service of repairing products brought to Mexico under an inbound scheme and are re-exported within 18 months. Service Maquiladora: A company that provides a service to a foreign company or to another Maquiladora company. The services must be applied to the goods that were temporary (inbound) imported. For example: a polishing process, warehousing, packaging, testing, an inventory management service, etc. Other Maquiladora Types: There are other exceptional types such as Shelter Maquiladora regularly located at the border, and Controller Maquiladora for a group of companies from a single Corporate. -The import of raw materials, parts and components is free of import duties and VAT (inbound imports). If the materials were manufactured in a non-NAFTA country, it is important to analyze the exclusion stated by the 303 article of the NAFTA. 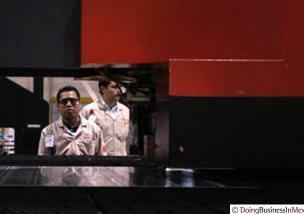 Capable of virtual export by transferring inbound imported goods to another Maquiladora company. These types of sales are free of VAT. -Purchasing to national suppliers at 15% withholding VAT, leaving a cash-flow effect of 0% VAT; or at 0% VAT at certain circumstances. -Capable to invoice “manufacturing services or processes” to a foreign company at a 0% VAT. -VAT refunds are processed in 15 days. -The option to export or transfer the inbound imported goods within the leading time, or to pay the import duties before selling the goods to the domestic market. Finally, it is important to mention the importance, in terms of keeping an accurate administration and management, of an appropriate design of the proceedings and legal formalities related to virtual transfers of goods between Maquiladora companies.